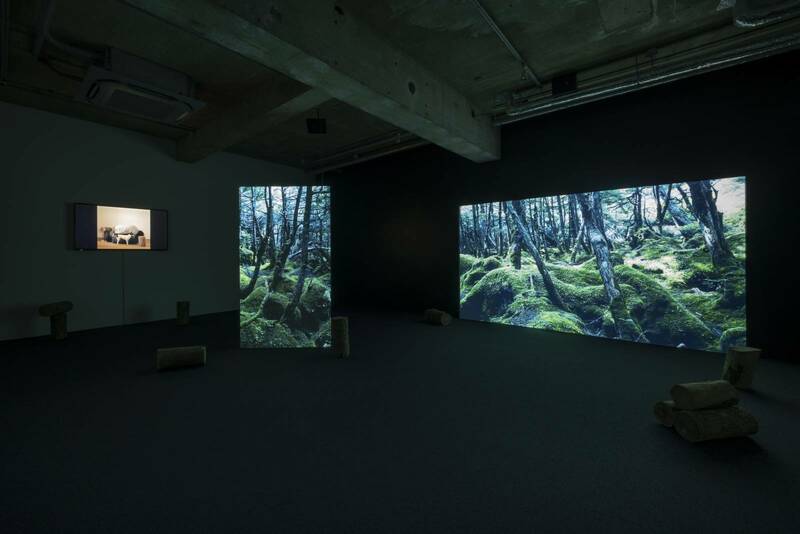 Mai Yamashita + Naoto Kobayashi, “Cairn,” 2018, 4K transferred to high-definition video, 4 min. 38 sec. Takuro Someya Contemporary Art is pleased to announce the opening of the solo exhibition Nature Observation by artist duo Mai Yamashita + Naoto Kobayashi from May 12 through June 23, 2018. This exhibition will be their first solo show at TSCA since The Four Souvenirs and The Book in 2011. 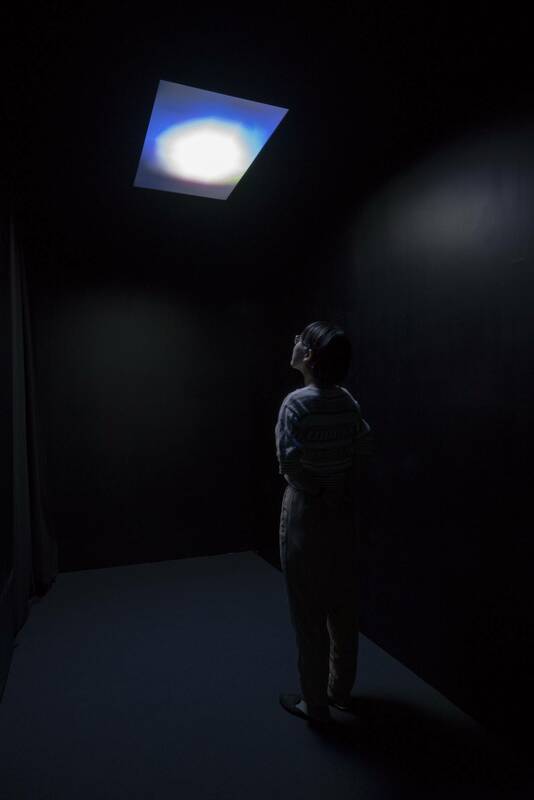 Yamashita and Kobayashi have been working officially as an artist duo since 2001 and have produced and showcased works across a wide range of mediums—in particular through video and sculpture—both within and outside of Japan. Nature has continuously been a core theme of their practice, including How to Make a Mountain Sculpture (2006-2010): a sculpture and photograph series created while visiting the Swiss Alps. Nature Observation presents four new video pieces that evenly showcase their handling of varying subject matters: namely, stones, the ocean, mountains, dogs, stars, and humans. Rather than posing nature as an opponent to humankind, the viewpoint narrated in these artworks regards everything—from people to the universe—as a part of the flow of nature. 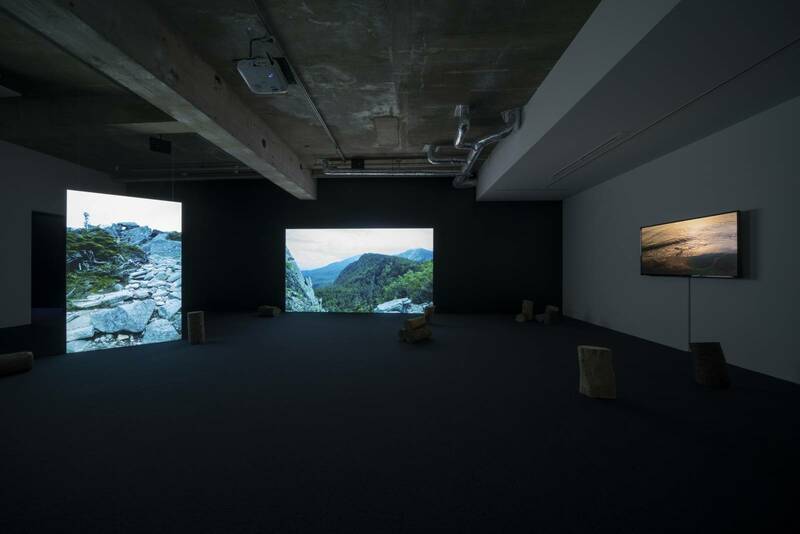 In the work Letting the Mountains Hear the Voice of the Ocean—a video installation projected on two screens in the main venue—Yamashita and Kobayashi trek through a mountain while releasing the recorded sounds of the sea from a speaker. This activity, in turn, allows for the trees, birds, and alpine to listen to the flow of ocean’s waves. As nature’s two oppositions face each other, a sense of disorder is suddenly felt and this perception, in a way, reminds us of “dépaysement”: the French word to describe displacement or disorientation often used in surrealism. 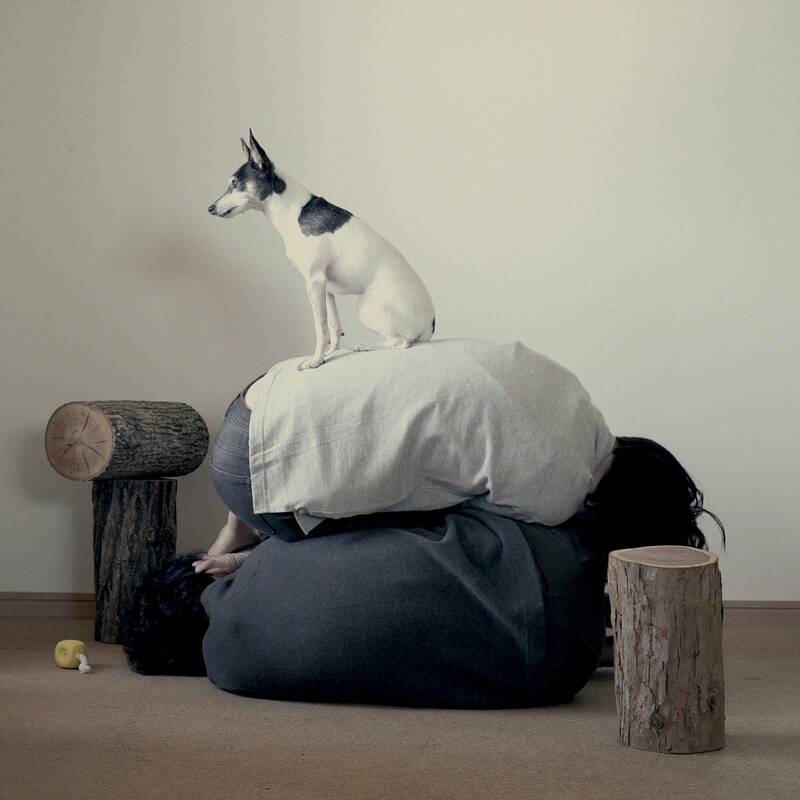 On the other hand, in the work Cairn—in which the artists consciously imitate the Mono-ha (School of Things) style—the duo physically piles on top of one another to literally reenact a human-made cairn (heap of stones). This contemplative piece aims to question the relationship between living and non-living things. 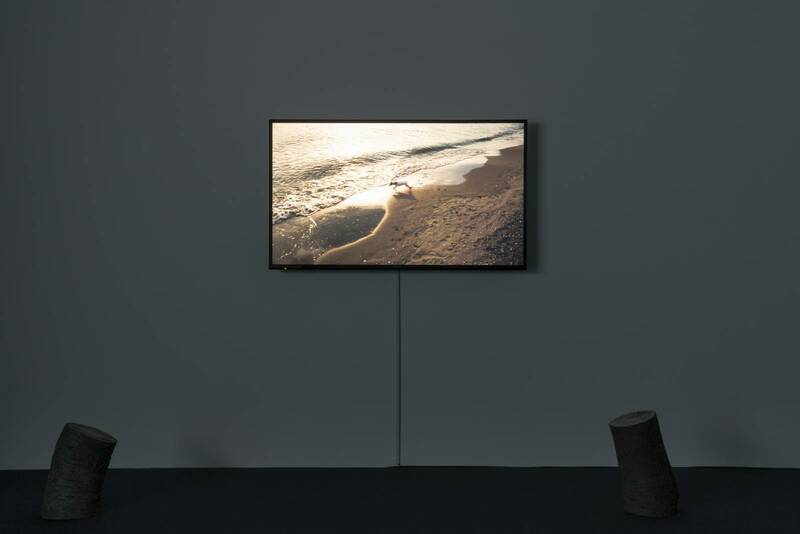 Another video work, Dog or Ocean, depicts the artists’ dog, Anne, barking endlessly at the breaking waves of the ocean. This work depicts a mysterious confrontation between Anne and the ocean, where the canine seemingly perceives the waves as living things. Anne challenges the gushing tide to a battle, and from time to time, the waves begin to crash harder as if responding to the match. Polaris, which will be shown in the smaller section of the gallery, is a video work that utilizes footage of the night sky to further magnify just a few pixels of the North Star. In turn, the light of this star, which has historically guided humans as a signpost to follow the right path, will illuminate the small room. We would like to invite you to this exhibit that hopes to display the animistic view Yamashita and Kobayashi have developed in the recent years. Mai Yamashita born 1976 in Chiba, Japan, graduates with Ph.D. from Tokyo University of the Arts; Naoto Kobayashi born 1974 in Chiba, Japan, graduated with M.A from Tokyo University of the Arts and Music. The artist duo met during their high school years and started working together officially in 2001. They currently live and work in Chiba Prefecture, Japan. 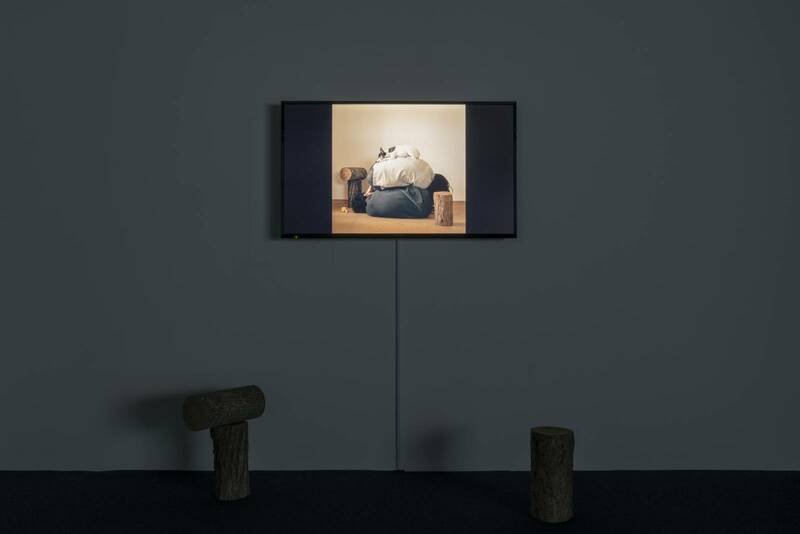 Yamashita and Kobayashi have participated in residency programs such as the Künstlerhaus Bethanien (Berlin 2010) and International Studio & Curatorial Program (ISCP) (New York 2011), among others. Major solo exhibitions include Oyama City Kurumaya Museum of Art 2015, Asifakeil, MuseumsQuartier (Vienna 2014), Kunstverein Göttingen (Germany 2011), Kunsthalle Lingen (Germany 2007). They have also participated in group shows and art festivals around the world including: Centre Pompidou Málaga (Spain 2018), Palazzo delle Esposizioni (Rome 2017), Art Tower Mito Contemporary Art Gallery (Ibaraki Prefecture, Japan 2015), Yokohama Triennale 2011, Aichi Triennale 2010, Museo de Arte Contemporáneo de Vigo (MARCO) (Spain 2010), and The Museum of Contemporary Art Kiasma (Helsinki 2006).